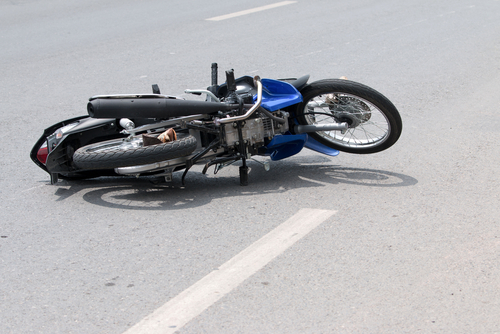 Who Pays the Hospital Bills in a Motorcycle Accident? After being involved in a motorcycle accident it is understandable that the idea of who pays for your hospital bills might be the last thing on your mind. However, it is still a very important question, one that must be dealt with quickly and intelligently to get the compensation that you are entitled to. Having a qualified attorney can be the difference between feeling at ease and managing your situation well or being stuck with expensive bills and stressful tasks that could have been avoided. The regrettable truth is that even if you were in no way at fault for your motorcycle accident the party that struck your motorcycle is not required under New Jersey law to pay for your medical bills, which are instead paid through medical coverage which can be purchased through your motorcycle insurance policy, or sometimes through your private medical insurance. It is for reasons such as these that having an experienced attorney to guide you through this process is the best way to get you the compensation that you deserve. From analyzing and explaining your complicated health insurance plans and policies, to directly negotiating each aspect of your case with the insurance company on your behalf, the right attorney will help deliver the financial outcome you need to help you with your recovery. If you have been in a motorcycle accident, TeamLaw and their team of knowledgeable attorneys will work swiftly to solve all of your financial, emotional and health needs. Contact our offices today to schedule a consultation.